On the fourth day of the LA teachers’ strike, Paul Reuckhaus, AFT President, sent our Executive Committee an update from CFT (California Federation of Teachers) about the strike. Eric Brenner, Advocate editor, noticed that unions could “adopt” a striking L.A. school as a demonstration of support, and threw that idea out into our AFT email thread. Jessica Silver-Sharp, AFT Secretary and Katharine Harer, Co-VP, jumped on it. Jessica did the research to find a list of schools we could adopt, and Eric suggested Los Angeles High School, one of the few secondary schools left on the list. Jessica contacted Dipti Baranwal, a member of L.A. High’s union steering committee and an English teacher at the school, asking what we could do to help. Dipti wrote back almost immediately: they needed breakfast for the picket line the next day. They’d be on the line from 6-9 AM, the fifth day of the strike, and Dipti wrote that they needed real food, something healthier than doughnuts and coffee. Katharine saw Dipti’s email and wondered how we could make that happen. Fly down? Ask a friend in LA to bring the strikers food? 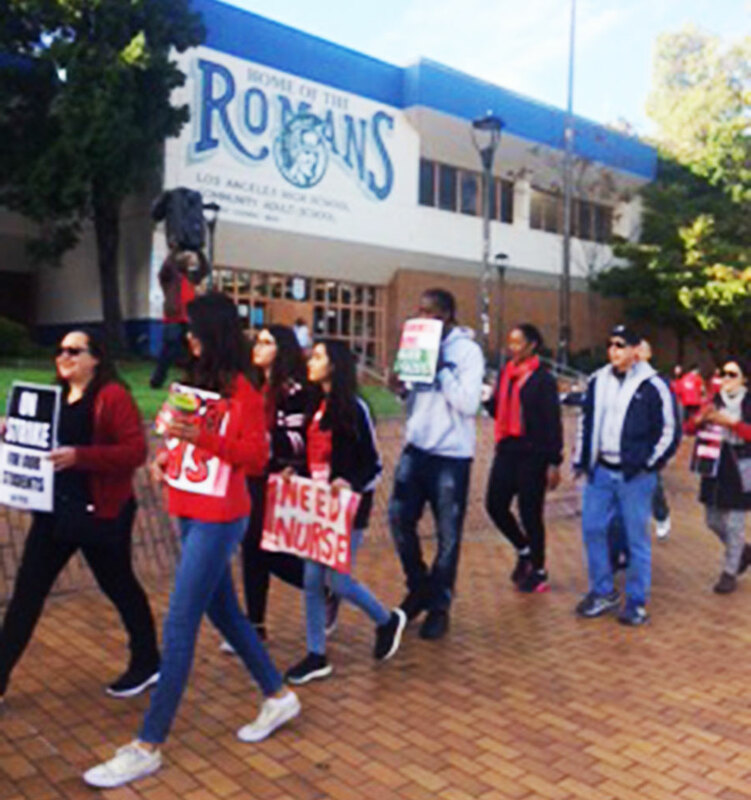 An idea took shape that seemed doable: Katharine wrote to Dipti and got the name of a restaurant near the school that would deliver to the strikers. She paid for the breakfast over the phone late that night with her credit card. (AFT 1493 Executive Committee members later made personal donations to cover Katharine’s payment.) 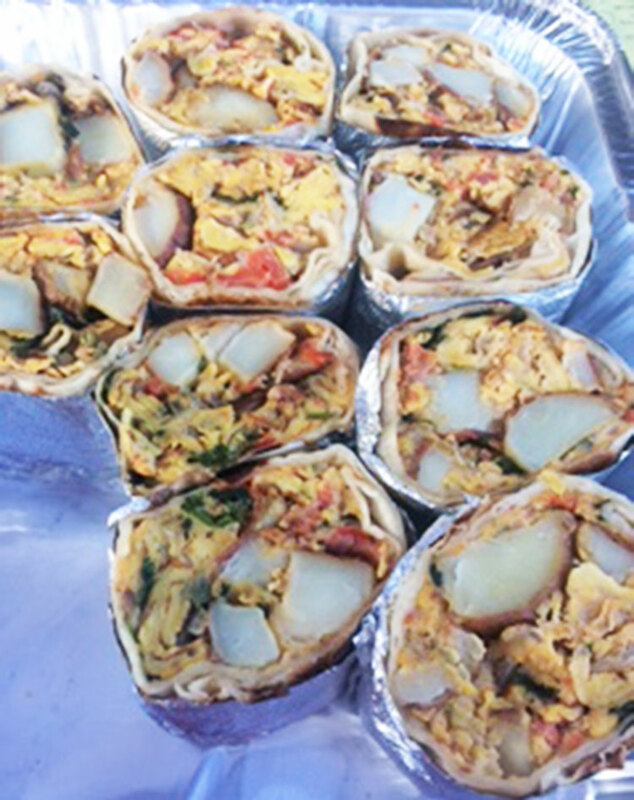 Luckily, the taqueria Dipti suggested was happy to make 40 breakfast burritos, (cut in half to feed 80 strikers) and deliver them by 7:30 the next morning. There was some drama involved: Katharine’s credit card company refused to charge the order – too much money, too many burritos, too far away? Katharine tried her debit card, and it worked. The next morning, when she called the Taqueria to make sure the delivery was happening, she was told that they were bringing the burritos INSIDE the school, not to the strikers walking outside! Luckily, that was quickly remedied and the strikers got their breakfast.